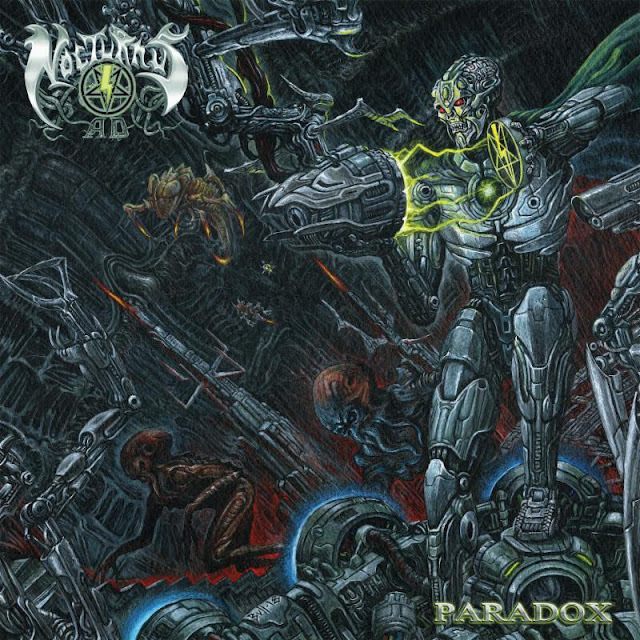 Legendary Floridian Death Metal collective, Nocturnus AD (a.k.a Nocturnus) are about to unleash their eagerly awaited album, "Paradox." 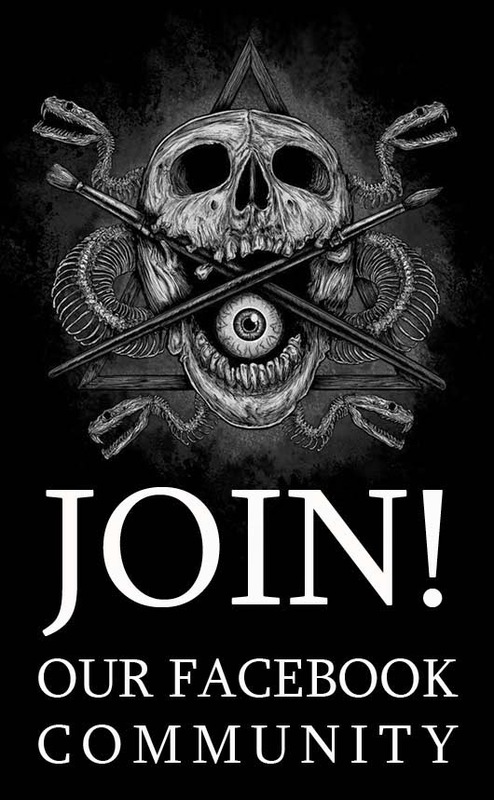 Drummer, Mike Browning, and his colleagues hired the talents of Indonesian artist, Timbul Cahyono of bvllmetalart for the creating of the detailed, Sci-Fi-oriented album cover. The original panoramic graphic seems to be a direct continuation of the artwork created by artist, Dan Seagrave for Nocturnus' classic debut, "The Key" (1990). "This album is successor to The Key (1990) and so the artwork," Cahyono explains, exclusively for And Justice For Art. "The concept is based on 4 songs from the new album that continue with The Key story. This album cover is one long painting for front and back cover. The story of this sci-fi scenery is The Key character is putting the lightning bolt symbol into a part of machinery to open a portal into the secret room full of ancient alien machinery with Lovecraft type creatures coming through the portal and traveling through time and space." The artist hopes that "when people listen the album and look at the album cover, their minds travel through time and space too. Mike thinks the artwork is fit perfectly with the music and the story." The original artwork was painted with acrylic and color pencils on 185 grams watercolor paper. Its dimensions are 12 x 24 inch." "Paradox" will be released via Profound LoreRecords on May 24th, 2019.